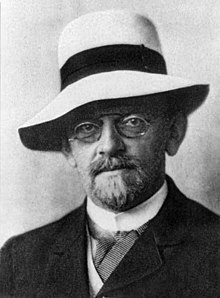 David Hilbert (23 January 1862 - 14 February 1943) ek German mathematician rahe the. Wo Biswa bikhaat the mathematician the kyunki wo discover kiye the invariant theory or axiomatization of geometry. Ii panna ke 22 June 2016, ke 18:09 baje, pichhla time badla gais rahaa.